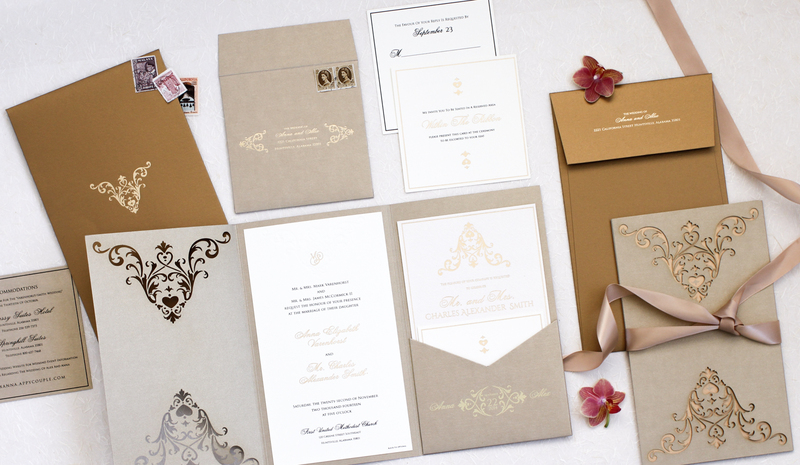 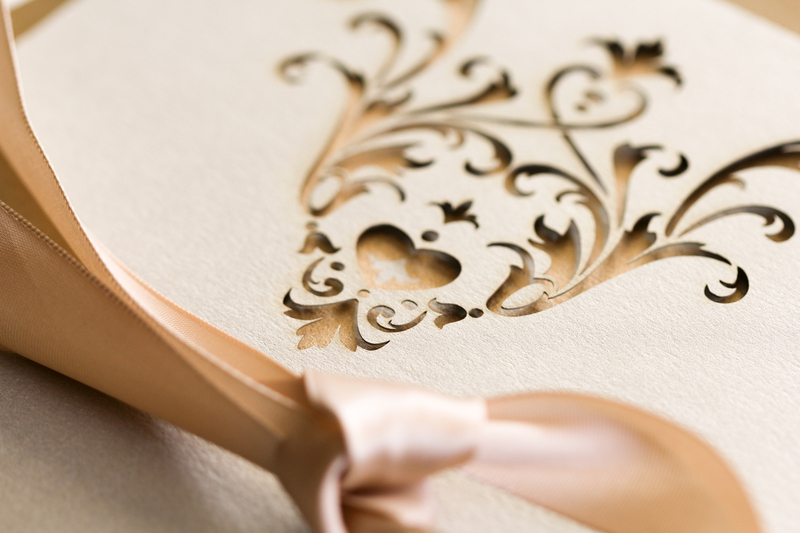 Inspired by baroque motifs and updated with sleek modern materials, this warm, luxe invitation glows with 3 different shades of rich gold. 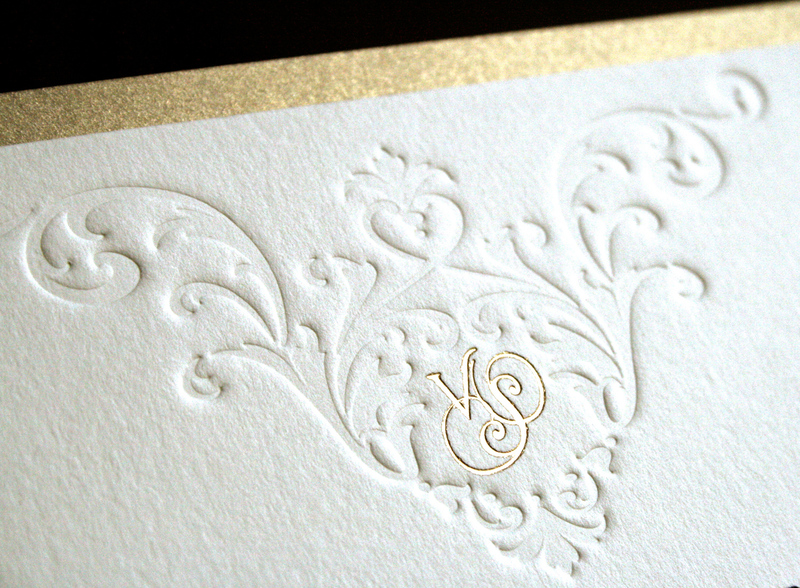 Frosted folio enfolded in a burnished envelope and gilded with champagne foil. 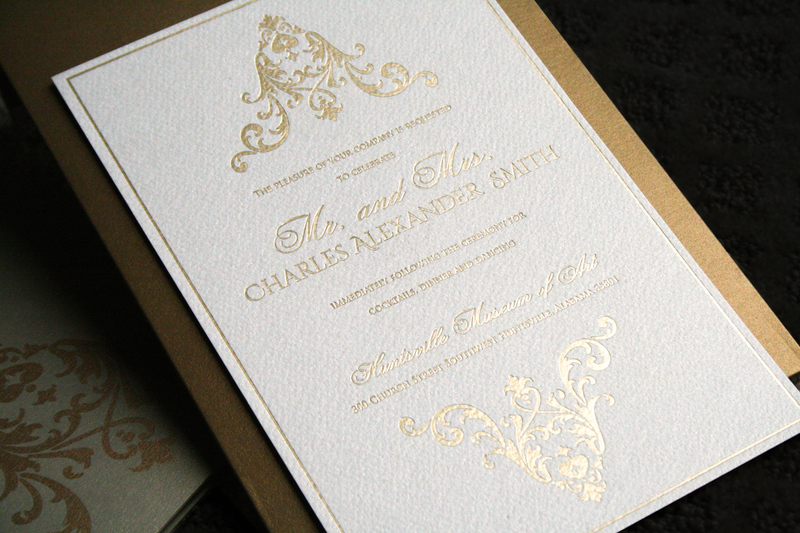 Custom Designed for Anna & Alex’s traditional white wedding at the Huntsville Museum of Art in Alabama.